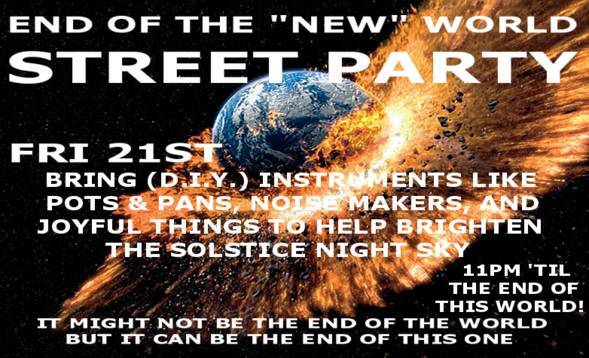 a solstice street party will be at sccc (pine and broadway). Bring (d.i.y.) instruments, noise makers of all kinds, and help create a joyful, chaotic atmosphere. This may not be the end of the world, but we can celebrate the ending of this one.